﻿ Public Talk and screening at Gallery Box | S.O.J. May 2016, Gallery Box Gothenburg, Sweden. 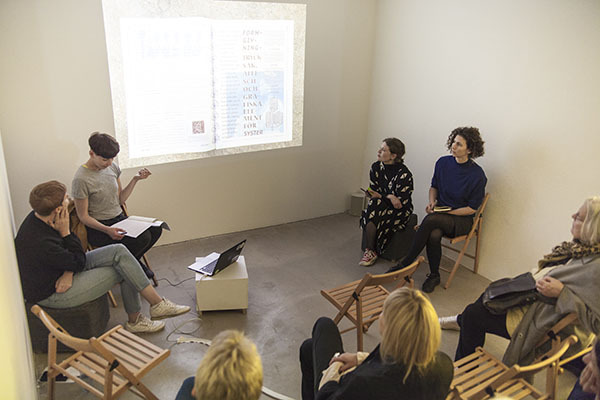 Sisters of Jam was invited by The Temporary Separatists to participate in a public talk about the collective as an artistic and feminist strategy, elaborating on the project Kate Millett Farm. The event also included a screening of our video ” It takes a million years to be a woman”. The Temporay Separatists is a woman-identified artist collective that seeks to explore the use of collectivism as a feminist methodology in art practice. (Photo: Gallery Box) Read more here!